Many of the finest music teachers in Colorado and beyond are graduates of the University of Northern Colorado music education program. Our faculty includes specialists in choral, instrumental, and general music, with extensive experience as public school teachers. 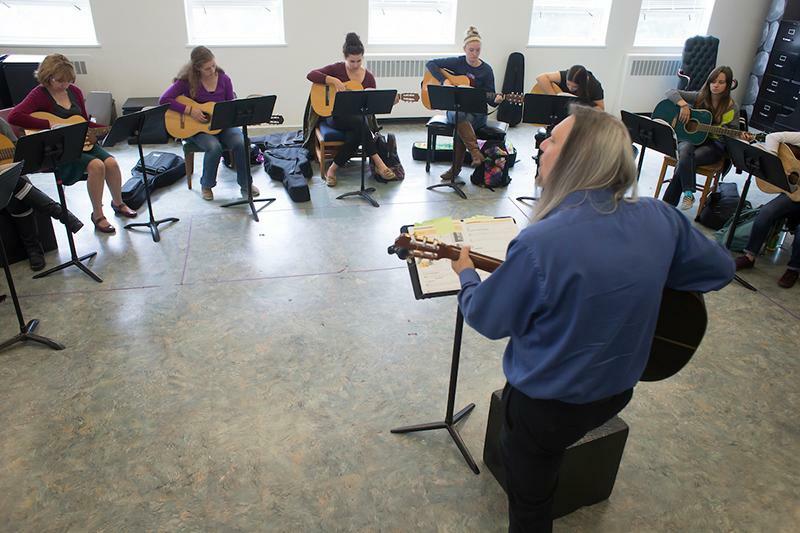 UNC music education students are thoroughly trained in the discipline of music and fully prepared in the art of pedagogy. Our program is dedicated to helping great musicians become great teachers. Come visit us! Music education students learn how to play and teach a variety of instruments in instrumental methods courses. Music education students have the opportunity to audition for and perform in a variety of ensembles, including choirs, bands, orchestra, and jazz ensembles. Applied faculty often teach our instrumental methods courses. 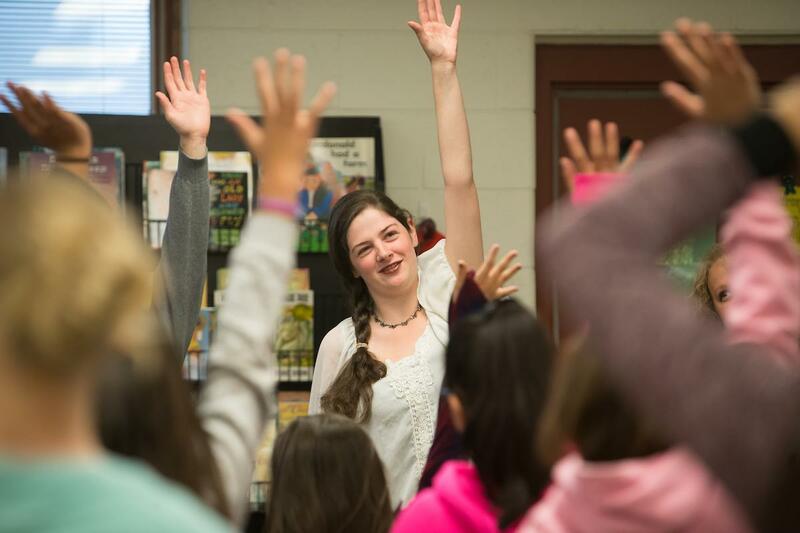 Music education students are paired with Colorado schools to complete their student teaching. Music Education students complete a variety of coursework that includes private instruction, music theory and history, ensemble performance, and pedagogy. Entering students may declare a music education major upon their audition for the School of Music. Coursework for entering music education majors is similar to those for other music majors, with extensive study focused on private instruction, music theory and music history, ensemble performance, and liberal arts classes. Formal admittance to the Professional Teacher Education Program (PTEP) typically occurs at the end of the sophomore year, after which time additional coursework is pursued (concurrent with continued music study) which focuses on the development of pedagogical skills and understandings. 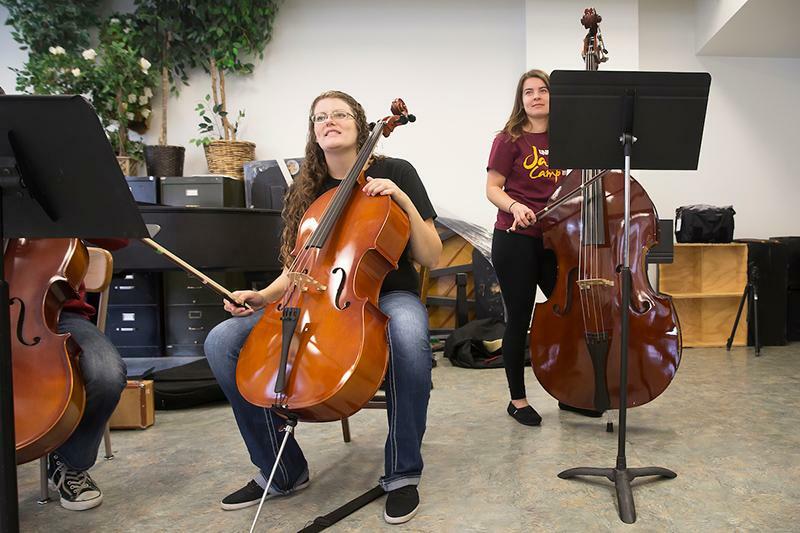 Through coursework and through other opportunities in the School of Music and the College of Education, music education students interact extensively with area public school music teachers and their students. Music education students perform a public recital, typically in their junior or senior year. The program culminates in student teaching: a full-immersion, full-time, semester-long placement in elementary and secondary music programs. UNC music education graduates earn their Colorado K-12 music teacher licensure along with their Bachelor of Music Education degree. This license may be honored in other states as well. UNC music graduates are also accepted for graduate study at institutions across the nation, as well as at UNC. The Master of Music degree assists the professional K-12 music teacher by developing and enriching musical competencies, professional understandings and skills, and personal qualities that are essential for success in a world and profession characterized by perpetual change. The program's structure allows extensive flexibility in designing an in-depth program based on individual career interests and professional orientation. 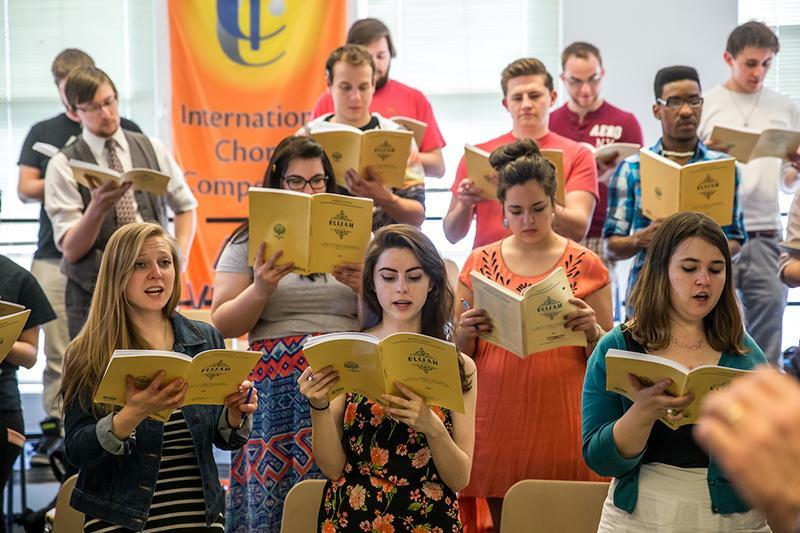 The UNC Music Educator's Intensive is a low residency Master of Music program in a convenient hybrid delivery format. Designed to meet the needs of current teachers, courses are completed online during the academic year and in an intensive six-week summer residency. MEI is an academically rigorous program examining the philosophical, theoretical and practical implications in the field of music education. Students will reflect on and assess the challenges that constantly face music educators in classroom, and more broadly, in the country. Learn techniques to improve your teaching, gain perspective to strengthen your role in the classroom, district, and profession, and prepare for doctoral-level study with UNC's renowned faculty and guest instructors who are leaders in music education. The Doctor of Arts degree in music education emphasizes the philosophy, psychology, and history of music education, as well as research, and prepares the student for assuming collegiate faculty positions in music education and/or leadership positions in public school systems. It includes scholarship and musicianship through study in music history and literature, theory, composition and performance. This degree program places primary emphasis on a comprehensive working knowledge of contemporary music education practices in public school and college music programs and in community and cultural life. Numerous options exist for secondary emphases. The program culminates in the student's completion of a scholarly dissertation. Dr. Mark Montemayor, Professor of Music Education, is named Scholar of the Year for UNC's College of Performing and Visual Arts. Read more. Yamaha partners with UNC to provide 60 new instruments for instrumental techniques courses. Read more.